Engineering polyesters are engineering thermoplastics based on PBT (Polybutylene terephthalate) and PET (Polyethylene terephthalate). Polyester resins combine excellent mechanical, electrical and thermal properties with very good chemical resistance and dimensional stability. Polyesters also offer low moisture absorption and have good flow properties. The scope of the Engineering Polyester product line includes grades that range from un-reinforced to glass reinforced, flame retardant and high flow materials. Specialist Grades are designed to minimise warpage, maximise impact strength or optimise surface quality. The range also includes grades for applications that typically require higher strength and or higher heat resistance. In addition to injection moulding grades the Engineering Polyester product range includes various extrusion grades. The primary emphasis is on glass reinforced and flame retardant materials for the automotive and electrical/electronic markets. 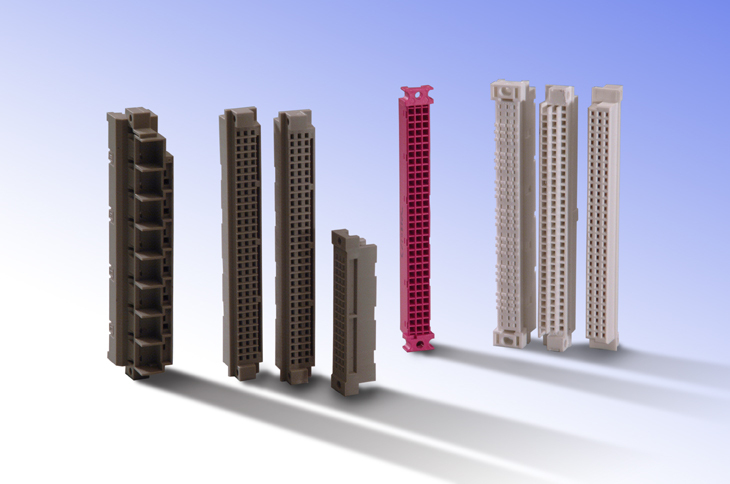 The product line is complemented by un-reinforced, extrudable, and toughened grades. Material tends to be supplied fully compounded. Exceptional dimensional stability, due to the low water absorption. Excellent resistance to chemical attack and high environmental stress crack resistance, in particular in comparison to polycarbonates, due to the semi-crystalline nature of polyesters. Very good heat and heat ageing resistance. Very low creep, even at elevated temperatures. The property profile of PBT and EPET plastics is wide and varied. It would be difficult to provide one set of figures which encompass the range. Additionally the wide use of glass fillers further exasperates this position. 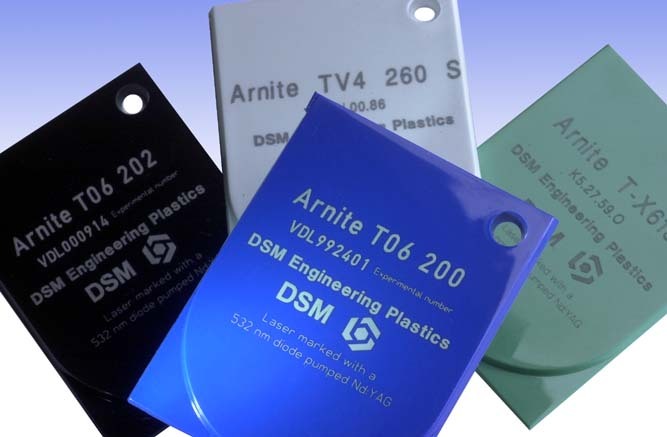 Click here to view some of the graphs of physical properties of the ArniteTM range of engineering polyesters or click here to gain access to the DSM website in which you can download a pdf based brochure of the range of PBT and PET materials. The chemical resistance of polyesters is in general very good, mainly due to their robust chemical nature, but also because they are a crystalline engineering plastic. For a full overview of the resistivity to the most important liquids click here. Engineering thermoplastic polyesters are performance polymers. Their successful penetration into each of these segments is based on different criteria. Engineering Polyesters can be found in the following markets: Transportation, Automotive, Electronical/Electronic, Appliances, Industrial and consumer. Engineering applications require a balance between cost and performance. Mechanical, thermal, electrical, and other physical properties determine which polymer will be selected (assuming the cost is not prohibitive). But, in performance polymer applications the cost/performance balance is shifted toward performance. 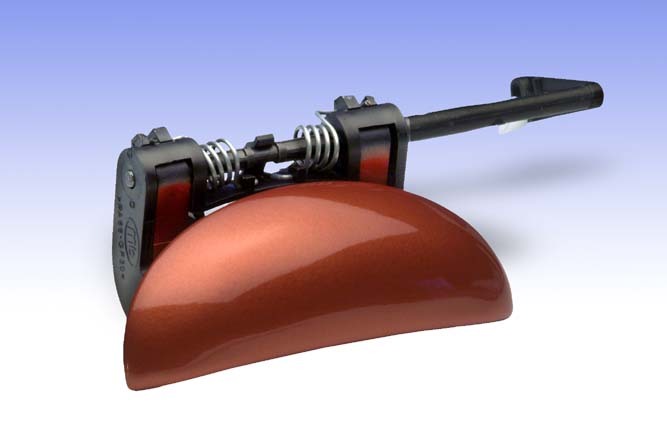 Engineering polymers are used in the manufacture of a wide range of components, including under bonnet parts, exterior parts (window wiper holders and exterior mirror housing). The largest increase in usage over recent years is in the rapidly developing sector of automotive electronics, where there is an increasing demand by consumers for more function in their car. Engineering polymers can allow manufacturers to include the latest technological advances at minimal weight penalties. The next largest is Electrical/Electronics, making use of high heat distortion temperatures and electrical insulation inherent in PBT i.e. 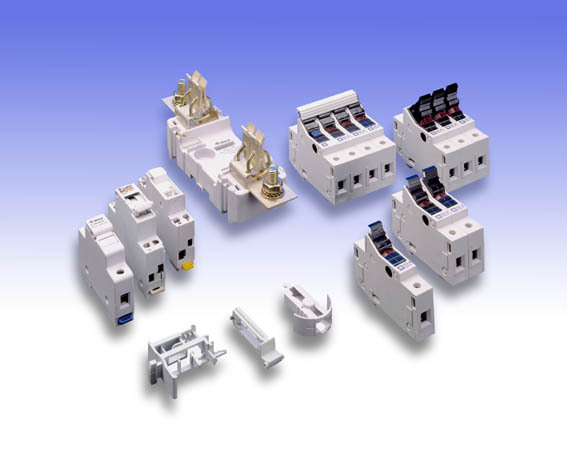 connectors, circuit breakers, switches and housing for the home appliance market (surface appearance and chemical resistance i.e. detergent). The Telecommunications and IT sector has similar uses for engineering polymers, notably used in mobile phone casings, through the desire for light durable phones. Other applications may include building, textile bobbins, meter housings and small niche applications. PBT particularly lends itself well to injection moulding, and consequently this process is responsible for the vast majority of its consumption. The remainder is consumed in extrusion processes, typically for wire and cable or fibre optic applications. The pdf document on Arnite from the DSM website and contains many good examples of the uses of the various grades of Arnite PBT and PET. click here to download the Arnite PDF. Arnite's TV4 460 KL (PBT/PET GF 30%, UV stab.) superior surface appearance makes it the ideal material for door handles. Fog Lamp Reflector Bodies and brackets made from Arnite provide high strength, stiffness, and heat resistance for theVolkswagen Beetle. Arnite polyesters are chosen for such stringent applications as wiper arms and wiper blades because of their high strength, excellent surface qualities, weatherability and ease of processing. 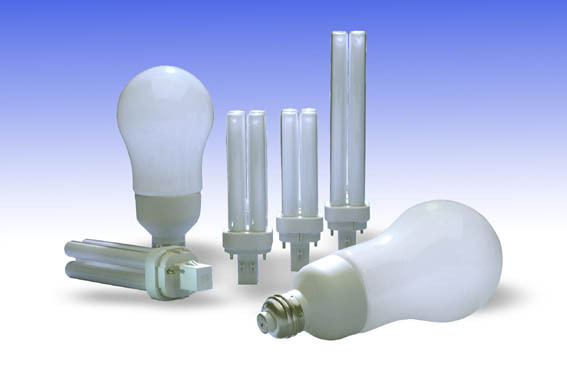 Arnite TV4 240 and TV4 240 S with high opacity are used for the lamp bases of energy saving lamps. Miniaturization is driving electronic component manufacturers to meet tighter and tighter part tolerances. PBT is selected over PA6 (Nylon) because part dimensions are more predictable and don't change over a period of time. The low moisture absorption of polyesters also provides for better long termelectrical properties and stiffness.